And pics of my lettuce in the greenhouse – May 13ish…. We were away for the weekend. Everything survived and thrived while we were gone thanks to our diligent housesitter and the cooperation of the weather. May 25 – planted potatoes and sowed some more lettuce, basil and arugala. Weather looks good for the next week. Low of 4C predicted for Friday night, other than that pretty nice – highs in the high teens lows around 6-8C. Woohoo. Now if it can only managed to stay above 0 for the next two weeks and we’ll be out of the woods. Transplant-o’rama this past Sunday. I transplanted all my tomatoes, tomatillas, ground cherry, peppers and sickly basil into larger pots (6 & 6.5″ pots). Many were labelled and staked so it took a good two hours or so. About 4 dozen plants in all. Lettuce outside and in the greenhouse is doing well. The weather is holding up so far. Looks like the lows won’t get much below zero for the next week…fingers crossed. I’m finishing with my lights for now as I’m going to move all my plants upstairs, and transplant them into 6 inch containers (tomatoes, tomatillas, grd cherry and peppers) over the weekend and early next week. I’ve transplanted my lettuce into 3 and 4 inch containers already (May 10-13) and have separated almost all of my lettuce in the greenhouse. Most of my lettuce is still under a cold frame in the greenhouse but last night I left out 5 plants. The soil froze (surface anyway) as did the surface of the water in my watering cans but the lettuce survived (or appears to have). The lettuce under the cold frame was fine. I planted 45 lettuce sprouts in one of my raised beds in the back forty. 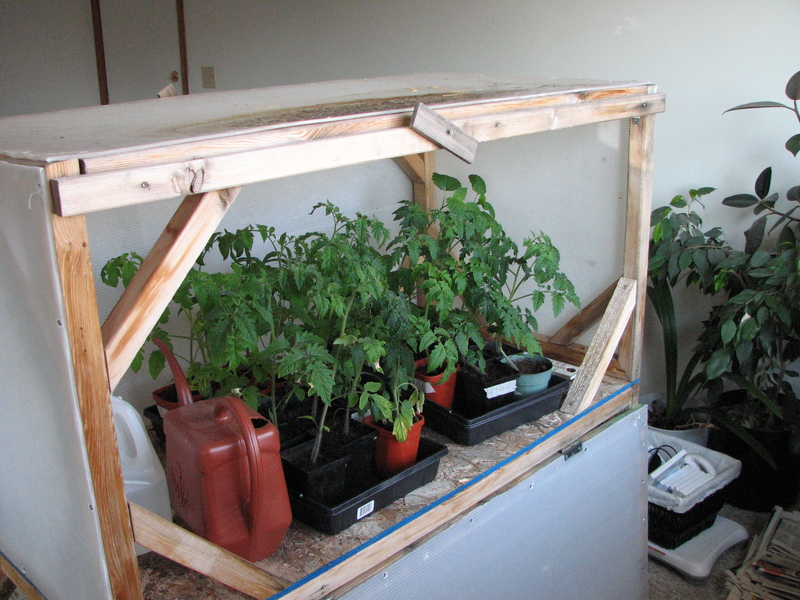 I have a cold frame to cover it too – we’ll see how it goes. I think anything more than a 3 hrs or so under zero may be deadly – if the sun isn’t shining on it. That said, it is worth the risk as I’m fairly diversifed, having lettuce growing in three places: in the house, in the greenhouse and outside. My first crop of basil for the season looks horrible. Only maybe 3-4 good plants out of a dozen. I’m going to transplant those too and start some more soon. Eventually I want to use my greenhouse for a mass basil plant – as it is too hot in the summer for lettuce. So far everything looks good besides the Basil. Fingers crossed that the weather doesn’t swing back to cold. We usually get a deadly cold period just before the all clear point around June 11ish…..
AutoCAD users eat yer hearts out – this is excel baybee. This is the “artist’s” conception of my mobile plant cart. Not to scale…phhhfffft. – May 7-9: Started working on my plant carts. Cut the wood and stained it. 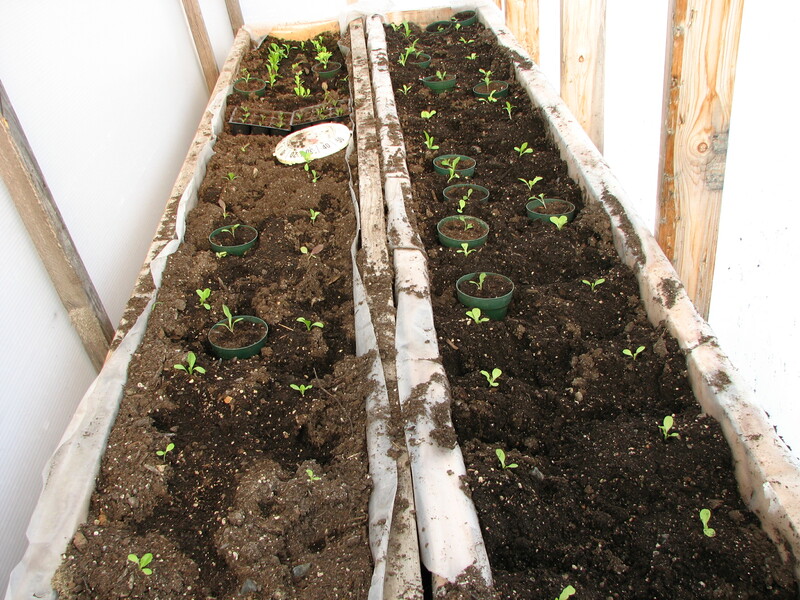 – May 8: Spread out some my lettuce sprouts in the greenhouse. – Aunt Molly Ground Cherry have flowers already. – Pepper plant (Little Blue) that I overwintered inside is producing a few more peppers. Less of a bounty than the first time (as I was told by a buddy) but still cool. Weather is a bit better. Slightly warmer during the day and not quite as cool at night. Lettuce doing well. Going to try to separate my sprouts in the greenhouse so that they can grow to full size in one place. 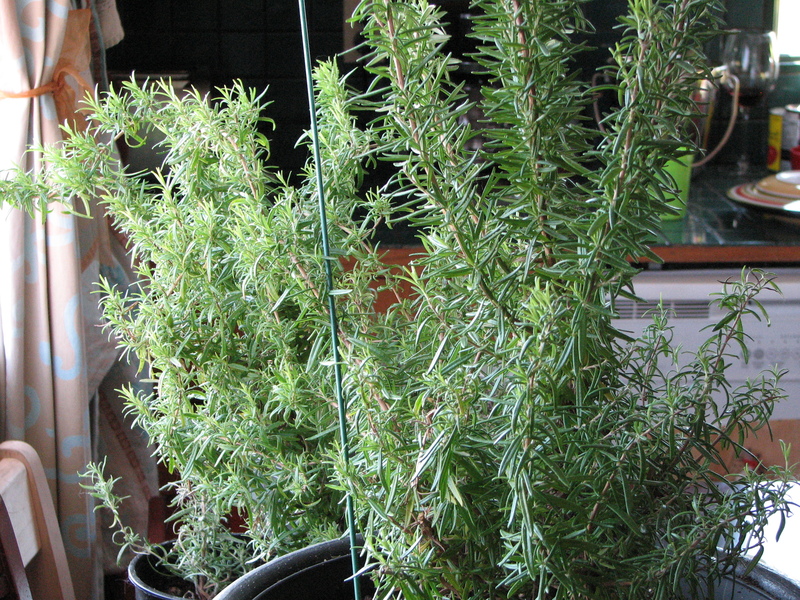 Going to wait another week before transplanting tomatoes in larger pots (6″ maybe 8″). Don’t want them getting too big before I can move them outside in June. Good thing I came home at lunch to see my plants downstairs – getting pretty wilted but now I’ve quenched their collective thirsts. Lettuce made it thru another cold night, this time sans la Parka. Indoor lettuce, planted Sunday, has started to sprout. Low of – 8C early this morning…. Lettuce survived. Another cold, and this time clear, night ahead – 7C w/ chance of snow. Fingers crossed.